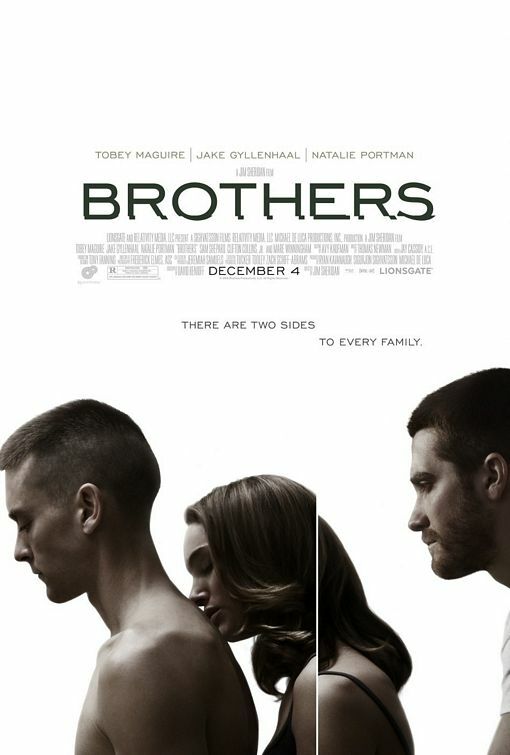 In the new film Brothers, Natalie Portman stars as Grace, a woman who learns her Marine soldier husband, Sam (Tobey Maguire), has been killed in battle in Afghanistan. Distraught, she finds comfort in her till-then irresponsible brother-in-law, Tommy (Jake Gyllenhaal), who also becomes a father figure for Grace’s two daughters … until Grace learns Sam was not killed after all, but had been captured and held prisoner in a mountain village. Suffice it to say, when he returns home, Sam is not the man he once was and things between the brothers and with Grace are a bit tense. If you’re thinking this is not the stuff of cheerful holiday merriment at the movies, then you’re right. Directed by Jim Sheridan (In America) and based on a Danish film of the same name, Brothers tells a very current and very unfortunate story in a very spare and intimate style. Acting by the three leads is effective (though I never did buy that Sam was Tommy’s older brother), and Portman is especially impressive in a much more grown-up role than she’s used to playing. However, the film is a bit slow-moving, and when it ended, I felt a bit relieved. Brothers is the kind of mezza mezza movie that’ll eventually make a fine rental. For now, I’m giving it a B.